Summer Bird Blue was such a beautiful and heart wrenching book! What inspired you to write this perfect book? Thank you so much! I’ve wanted to write a book set in Hawaii for a while, because it’s where my dad and all of his family are from. I have a lot of memories from Hawaii—spending the summers with my grandparents on Oahu, and even attending school there for a couple of months. But it took me a long time to figure out what story I wanted to tell. Grief is something almost everyone will have to face at some point or another, so in that way it’s sort of a universal experience. But at the same time, not everyone grieves the same way. I wanted to explore the way grief can affect people differently, and how there isn’t a “correct” way to react. And I think Rumi’s grief set in the backdrop of somewhere as beautiful as Hawaii is kind of poetic. For me, Hawaii symbolizes family. For Rumi, it symbolizes moving forward, when she so desperately doesn’t want to. That battle of internal versus external was what really inspired the heart of this story. And also, it felt like a homage to my family, which will forever be special to me on a personal level. Can you give a brief summary on what Summer Bird Blue is about for readers who haven’t come across it yet? SUMMER BIRD BLUE is about a girl named Rumi who dreams of becoming a singer-songwriter with her sister, Lea. When Lea dies in a tragic accident, Rumi really struggles with what is essentially survivor’s guilt. And when her mother, who is struggling with her own grief, sends her to Hawaii for the summer to live with her aunt, Rumi feels lost and abandoned in a world without family or music. It’s definitely a sad story, but I think there’s a lot of hope in it, too. Take every piece of writing advice with a grain of salt. Even this one! Because there’s no such thing as universal advice, and what works for one person might not work for another. What worked for me was being stubborn, refusing to quit, and being open-minded to the idea that there was more than one path to get to where I wanted to go. I also stopped trying to chase the idea of a “perfect story for everyone,” because there’s no such thing. Write the stories you need, because if you do that, the people who’ll love your stories are the people they were meant for anyway. If you’d asked me a year ago, I’d have listed authors I admired for their writing alone. But as I’ve met more people in this industry, I realize I’m inspired by more than just what makes a good book. Cindy Pon is SO inspiring with the impact her and her books have made in terms of East Asian character in SFF. She kind of paved the way for more writers to be able to create these stories, which is major. And to be honest, there are so many authors of color who I’m just in awe of. This industry can be brutal, and POC and their stories are too often held to different, harsher standards. And so, any time an author of color finds success—Sandhya Menon, Samira Ahmed, Nic Stone, S.K. Ali, and so many more—it’s just THE BEST, truly. It makes me feel like it’s okay to keep pushing forward, to ignore the noise, and to keep writing the stories only I can tell. I am obsessed with CHILDREN OF BLOOD AND BONE by Tomi Adeyemi. I also love CROWN OF FEATHERS by Nicki Pau Preto, which technically doesn’t release until next year, but I recently finished the ARC and can’t wait for everyone else to scream about phoenix riders with me. And although I’m very behind on my reading pile, I do have DARIUS THE GREAT IS NOT OKAY by Adib Khorram, FINDING YVONNE by Brandy Colbert, PICTURE US IN THE LIGHT by Kelly Loy Gilbert, and THIS IS WHAT IT FEELS LIKE by Rebecca Barrow all sitting on my desk at the moment. My gut feeling is that they’re all going to be SPECTACULAR, and the last time I had that feeling was right before I read SIX OF CROWS, so I mean, that’s basically science. My instinct is to say someone cool like Inej Ghafa, but I’m terrified of pain and could never deal with a knife-fight in real life. So I don’t know how well that would work! Maybe an X-Men, like Rogue, purely because I’d have superpowers but could also visit the X-Mansion. And come on, that would be THE COOLEST. These questions are always so hard! Okay, THE BRONZE HORSEMAN by Paullina Simons, which is a weird one for me because it’s totally not a genre I normally read, but it’s the only book in the world that’s ever made me sob my eyes out. SIX OF CROWS, because it’s just so much fun and I love it to pieces. And can I cheat a little and say the third book would be a blank notebook? Because then at least I could doodle and write and not fall painfully behind on my deadlines haha. Any future projects that we should look forward? HARLEY IN THE SKY will be my third contemporary, and it’s set to release in Spring 2020. It’s about a girl who runs away to join the circus, and also features a handsome violinist. It’s a little different from my other books, because I think I just needed to write something purely indulgent to kind of recover from everything emotionally and mentally I was feeling after the last two books. I’m also working on a super-secret SFF project that I’m dying to share more on. Fingers crossed there will be news on that in the coming months! 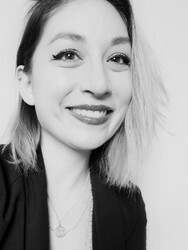 Special thanks to Akemi Dawn Bowman for agreeing to do this interview with me. If you liked what you read (and I’m pretty sure you did) make sure to check out her already released books. Great interview, Noura. I’ve heard nothing but great things about Starfish & Summer Bird Blue. You’re interview with Akemi makes me want to bump them up. Maybe I can sneak them in my TBR next month 😊 Great job! Thank you! 💖 really hope you like it! I truly loved the writing advice she gave! I released my first book back in 2015, and I had tried SO hard to follow all the “rules” and advice I’d been given to the point that my book truly lost the personal feel. It didn’t feel like mine any more, and looking back….it wasn’t even that great! I ended up finding out that I was pregnant the day after my book release and had a very rough pregnancy. I ended up dropping a lot of my responsibilities at the time, including promoting my book, working in my blog, and any further writing I had been planning. At the time, I was so upset, but now I realize it was a blessing. In August of 2018, I started writing again, and I actually pulled my book from all platforms and decided to try again. With working on that first novel, as well as working on a new one as well, I tried to stop doing everything I was told I *had* to do to write a good book. I did do some research, and I created my own methods and routines, but I never hold myself to any of those, because I understand they’re not rules. Had I heard this advice way back when, I might’ve saved myself a TON of extra work! I think that’s probably the best advice I’ve ever read/heard. 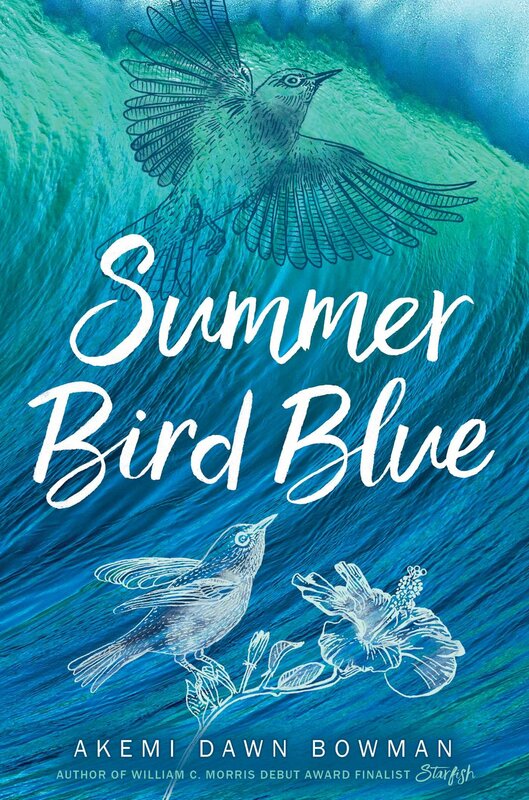 I will definitely be adding Summer Bird Blue to my reading list for 2019! This was a great interview! I’m glad I could motivate you! Thank you so much, I’m sure I’ll love Summer Bird Blue! Great interview! 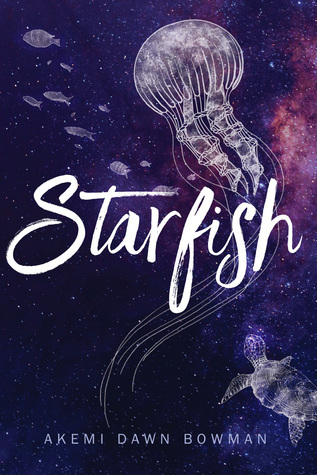 I love Starfish and cannot wait to read Summer Bird Blue and Harley in the Sky! Thank you! Harley in the Sky is one of my highly anticipated. Can’t wait for it to release! I will be looking out for it too! Thank you so much for sharing! I really hope readers will pick up her books!